A glamorous pear-shaped cubic zirconia necklace set. Plated in tarnish resistant rhodium. The earrings are 2.8 cm long and 1.0 cm wide. The pendant is 3.2 cm long and 1.3 cm wide. The necklace is 41-50 cm (adjustable). Comes with beautiful gift box. Perfect bridal jewellery for your special day. Pretty pearl (light ivory) and cubic zirconia stud earrings. Height 1.4 cm and width 1.0 cm. This item comes in a lovely jewellery gift box. Share the Love with our 'Sweet Heart' AAA grade Cubic Zirconi stud earrings. Perfect for all Weddings and Special events. Dimensions - 0.8 cm x 0.8 cm These earrings come in a beautiful gift box. Made with freshwater pearls and pavé crystals, this floral bridal / event comb is truly beautiful. The pearl vines can be adjusted to form the perfect compliment to your hairstyle. Width: 10.4 cm, Height: 6.4 cm (including comb) Comes with beautiful gift box. 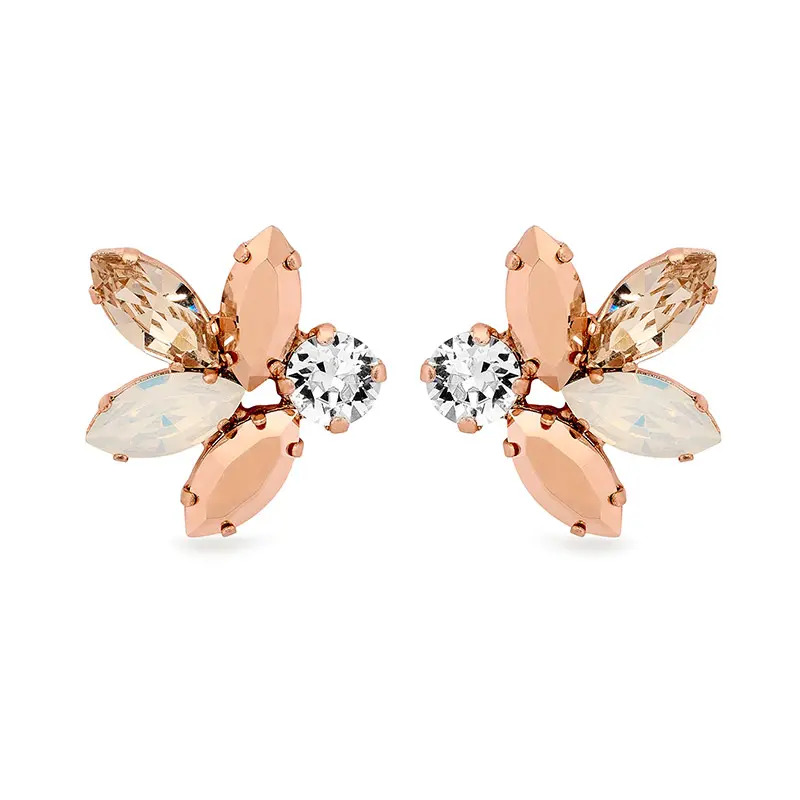 These earrings have a jewel-encrusted vintage design rich in cubic zirconia set in gold. Height: 6.8 cm, Width: 2.2 cm. These earrings come in a beautiful gift box. This is a lovely 'Gardenia' Floral and Crystal soft lace garter in pure white. It is a slim line design that sits flat under a sheer wedding dress. This garter is standard size and stretches to 15 inches. 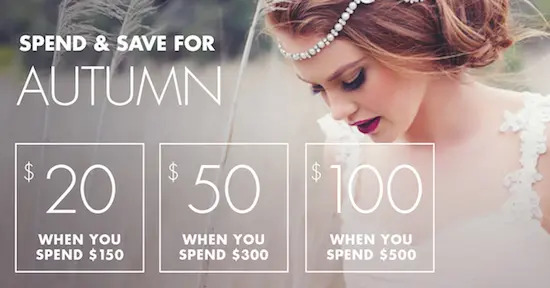 Spend and Save for Autumn! *Orders place between 18th - 25th of April will be process after April 26th. Express Post items will be prioritised. *Ends 30th April or while stocks last. Discount automatically applied at checkout.